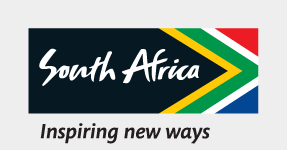 SSouth Africa’s culinary heritage is as colourful as its flag, and as multi-layered as its 11 official languages. Blending African inspiration with European and Asian influences, South Africa’s chefs have forged a culinary style all their own, melding provenance, produce and a proud sense of history. The windswept shores of the West Coast may seem an unlikely place to begin a gourmet gallivant across South Africa, but this wild western edge of Mzansi is an ideal starting point for your journey through the gourmet offerings of this rainbow nation. At LEETO – “journey” in the indigenous Khoi language - chef Garth Almazan finds inspiration in the wild coastline and fresh fish landed at Paternoster’s main beach each day. On the hills above, Kobus van der Merwe is blazing a culinary trail at Wolfgat, creating an entirely unique menu of Strandveld cuisine with wild ingredients foraged from the dunes and shoreline. “It’s a menu that’s really inspired by the landscapes,” says van der Merwe, who incorporates everything from dune herbs to sustainably farmed oysters and subtly scented local lamb on his ever-changing menu. Little surprise he won the Chefs' Chef Award at the 2017 Eat Out Mercedes-Benz Restaurant Awards, South Africa’s premier culinary awards. FFrom the West Coast head straight for Cape Town. This is the foodie capital of the country, and you’ll be tempted by everything from fine dining to food trucks during your time in South Africa’s Mother City. Bree Street has become the city’s gourmet boulevard, home to a cross-section of the city’s most exciting restaurants. At True Italic chef, Luca Di Pasquale impresses with his homemade pasta and authentic northern Italian cooking. Next door, Giles Edwards is blazing a brave new trail at La Tête. Previously head chef at London’s iconic St. John Restaurant, Edwards has introduced Capetonians to the world of nose-to-tail cuisine, and hungry locals flock here to discover everything from the signature brains on toast, to roasted ox heart and crispy pig’s tails. Further up Bree Street you’ll find small-plate dining by acclaimed chef Liam Tomlin at Chef’s Warehouse, on-trend Nikkei cuisine at Charango, and Spanish tapas at La Parada. Also look out for the monthly Tuning the Vine festival, when the winelands comes to the city. BBut is there any African cuisine in this cosmopolitan port city? Of course! The Africa Café, today situated in charming Heritage Square, has been dishing up a superb set menu of African dishes for more than 25 years. Each night a seasonal “African feast” is served to the accompaniment of African singing and dancing; a treat for the stomach and senses. Down the road, Marco Radebe dishes up wonderful local fare at Marco’s African Place, while Addis in Cape is the place to discover fragrant Ethiopian dishes. Last, but certainly not least, the homely restaurants of the colourful Bo-Kaap dish up unpretentious yet authentic Cape Malay food, a style of cooking descended from the Malay slaves brought here in centuries past. It’s all part of the textured tapestry of local cuisine, whose threads run from home cooking to haute cuisine. And there’s certainly no shortage of world-class fine dining in Cape Town. Luke Dale-Roberts is the chef-patron behind The Test Kitchen in up-and-coming Woodstock, while La Colombe occupies an enviable location in the winelands of Constantia. Food and wine are a matchless pairing, and the scenic Cape winelands are home to dozens of fine restaurants. There’s a Gallic flair to much of the cuisine in the charming village of Franschhoek - home to celeb-chef Reuben Riffel’s eponymous restaurant - but also look to the famed wineries of Stellenbosch, Paarl and Elgin for wonderful epicurean adventures. But it’s not all about Cape Town. Wine lovers will enjoy discovering the windswept vineyards of the Agulhas Plain, near the southern tip of Africa. On the Garden Route you’ll find wonderful bakeries (take a bow, île de Païn! ), seafront eateries and fine dining amid the region’s famed golf courses and natural beauty. FFurther along the East Coast, Durban is fast developing into a culinary destination in its own right. Alongside the superb seafood served up on its sultry seafront, it’s spice that is the defining flavour of this bustling port city. With its rich Indian heritage, the city is famous far and wide for its flavoursome - and fiery - curries. While high-end hotels add an upscale spin to the humble curry, don’t leave town without trying the city’s signature dish, the “bunny chow”. As humble as street food can be, this KwaZulu-Natal classic is simple: a half-loaf of white bread hollowed out to form a bowl, then filled with a dollop of curry. For a true local flavour, be brave and order the fiery mutton curry. Afterwards, let your taste buds cool off with a wander through the colourful Victoria Street Market, where stalls are piled high with fragrant spices. But don’t leave Johannesburg out of your gastronomic adventure. After years in the culinary wilderness, eGoli is teeming with exciting new restaurants and markets. The city’s wealthier northern suburbs are particularly replete with fine dining options, whether it’s the flame-grilled creativity of David Higgs at Marble, or chef Coco Reinharz’s pan-African fine dining at Épicure. But the best place for you to tap into the new energy coursing through the city’s culinary scene is in the downtown Maboneng Precinct. On weekend mornings locals flock here for the colourful Market Sheds and Neighbourgoods markets, while the likes of Urbanologi, Little Addis Café, Eat Your Heart Out and Living Room offer up a globe-trotting cross-section of flavours. It’s a colourful multi-cultural country this Rainbow Nation of ours, and whether you come for the safari or the seaside, one thing’s for certain: you won’t go hungry.